An effort started a few years ago to eliminate the union-like, mandatory nature of state bars. These associations have become increasingly politicized, spending members’ dues for partisan purposes that always go against Republicans. This is illegal, since the 1990 Supreme Court decision Keller v. State Bar of California decision held that mandatory members of state bar associations have a First Amendment right not to subsidize political or ideological activities. Additionally, in the 27 states with right-to-work laws, attorneys aren’t supposed to be required to join a union in order to practice law. In order to practice their profession, attorneys should be required to go through no more than a licensing agency. But somehow, these illegal state bar unions have thrived in 31 states. The other states have voluntary bars and do just fine. The existence of these politically motivated state bars has finally started getting attention due to their targeting of conservative attorneys and spending members’ dues on partisan activities. 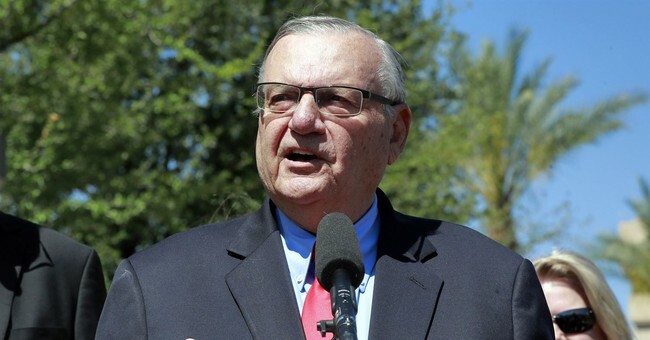 In Arizona, the state bar disbarred a popular conservative district attorney in order to stop him from cracking down on illegal immigration with former Maricopa County Sheriff Joe Arpaio. After that happened in 2012, conservative attorneys in Arizona tell me they are terrified to write articles, tweet or say anything publicly for fear of having the left-wing wing state bar come after them. Almost no one dared to defend the disbarred attorney, not wanting to make themselves a target of the bar. In North Dakota, the state bar got caught spending a significant amount of money opposing a shared parenting ballot initiative. A small but motivated group of unscrupulous family law attorneys who are heavily involved in state bars stand to lose a lot of money in client litigation fees if shared parenting goes into effect. They heavily influence state bar lobbying in this area. An attorney filed a lawsuit, assisted by the Goldwater Institute, which made it all the way to the Supreme Court. The high court ordered the trial court to decide the case in accordance with Janus v. State, County, and Municipal Employees, which held that public sector unions cannot collect dues from people who do not want to be a member of the union. While state bars are not governmental, they act quasi-governmental and are granted a virtual monopoly over the legal profession. Illinois, where Janus arose, is not a right-to-work state. In Oregon, the state bar ran a piece in its bulletin that appeared to tie President Trump to the promotion of white nationalism, while sanctimoniously denouncing white nationalism in an adjacent second piece. After a backlash, the state bar provided a refund of $1.12 — the cost of the bulletin — to any member that requested it. Based on Janus, two attorneys in Oregon sued the state bar alleging that mandatory dues infringe on their First Amendment rights to free speech. They said the dues unconstitutionally pay for political and ideological speech they disagree with. Oregon is also not a right-to-work state. In multiple states, bills have been proposed to split up mandatory state bars. Unfortunately, the state bars are very powerful, backed by the inflated membership dues of attorneys, allowing them to afford the best lobbyists to resist the efforts. This is the case in Arizona, which has the second highest mandatory annual bar dues in the country after Alaska, $505. Ironically, the Arizona State Bar was forced to raise dues in order to pay for the show trial against the district attorney it disbarred. Bills are unable to make it out of both Arizona legislative houses due to the powerful lobbying efforts of the state bar. Disgusted with the corruption, the Goldwater Institute, which is headquartered in Arizona, asked the Arizona Supreme Court in January to eliminate the mandatory nature of the Arizona bar. A couple of states have had success breaking up their mandatory state bars. Nebraska split its bar in half a few years ago. Now only the regulatory side is mandatory. The California legislature split the California Bar into two pieces with a bill in 2017. Like Nebraska, the mandatory part will retain the regulatory functions. The trade association activities, which include working on legislation, are being transferred to a voluntary nonprofit entity. It is unfair that in order to practice law, attorneys in 31 states are required to be members of unions that engage in partisan political activity against members’ interests. Fortunately, the tide is finally turning and these corrupt organizations are starting to be dismantled. Just because the thugs running the state bar unions wear white collars does not mean they are any less union thugs.